Extended Spring Training has begun in Mesa, and thanks to ‘The Cub Reporter’s” correspondent, Arizona Phil, fans have been able to keep up with what the possible Boise Hawks (and Mesa Cubs) are doing in the desert (through his unofficial box scores). The squad opened with a 4-2 record during the first week of Extended, which included a pair of appearances by former Hawk, Rob Whitenack (’09) – who is rehabbing from Tommy John surgery. The righty (pictured left) allowed three hits and struck out four in three innings of work. Two other former Hawks – Sheldon McDonald (’11) and Charles Thomas (’11) had good outings – McDonald throwing five innings (over two appearances), allowing three hits and fanning 11, while Thomas allowed a hit and a run in a scoreless inning. Two players have been promoted from Extended – Oliver Zapata (’11) has been promoted to Peoria (as Reggie Golden is on the 7-Day DL), with Joe Zeller (‘10/’11) promoted to Daytona. Roster Notes – at the Class A level, a total of 13 players are with the Daytona Cubs, the only former Hawks at the Advanced-A level. The group includes Eduardo Figueroa (‘09/’10), Eric Jokisch (’10), Austin Kirk (‘08/’09), Matt Loosen (’10), Larry Suarez (‘09/’10), Joe Zeller (‘10/’11), Tony Zych (’11) (pictured right), Chad Noble (‘10/’11), Arismendy Alcantara (’10), Dustin Harrington (‘10/’11), Richard Jones (‘09/’10), Greg Rohan (’09), and Matt Szczur (’10). At the Low-A level, all 19 former Hawks are with the Peoria Chiefs, including Kyler Burke (’07/’08/’11), Willengton Cruz (’11), Michael Jensen (’11), Luis Liria (’11), Andrew McKirahan (’11), Austin Reed (’11), Jose Rosario (’11), Bryce Shafer (’11), Yao-Lin Wang (‘10/’11), Ben Wells (’11), Rafael Lopez (’11), Ryan Cuneo (‘10/’11), Wes Darvill (‘10/’11), Zeke DeVoss (’11) (pictured left), Paul Hoilman (’11), Brad Zepenas (’11), Pin-Chieh Chen (‘10/’11), Reggie Golden (’11), Oliver Zapata (’11). Along with them is Kenny Socorro (’11) – who is serving as a player-coach for the Chiefs, currently on the 7-Day DL and acting as first-base coach. 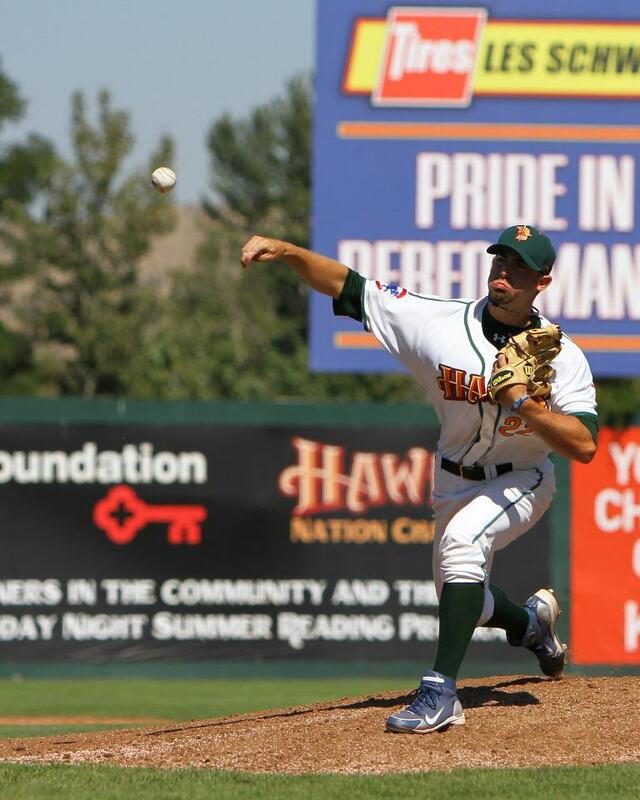 As the first weekend of the regular season has finished – a few things to recap for former Boise Hawks. 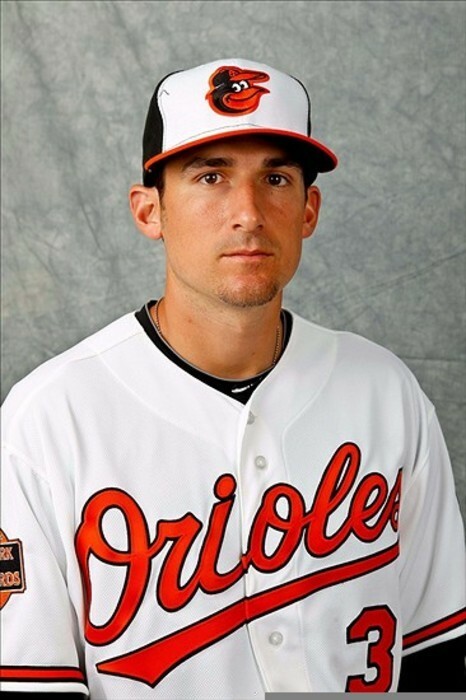 Congratulations to Ryan Flaherty (’08), who made his MLB debut on Saturday for the Baltimore Orioles (as a defensive replacement at third-base), becoming the 92nd former Hawk to play in the Big Leagues. 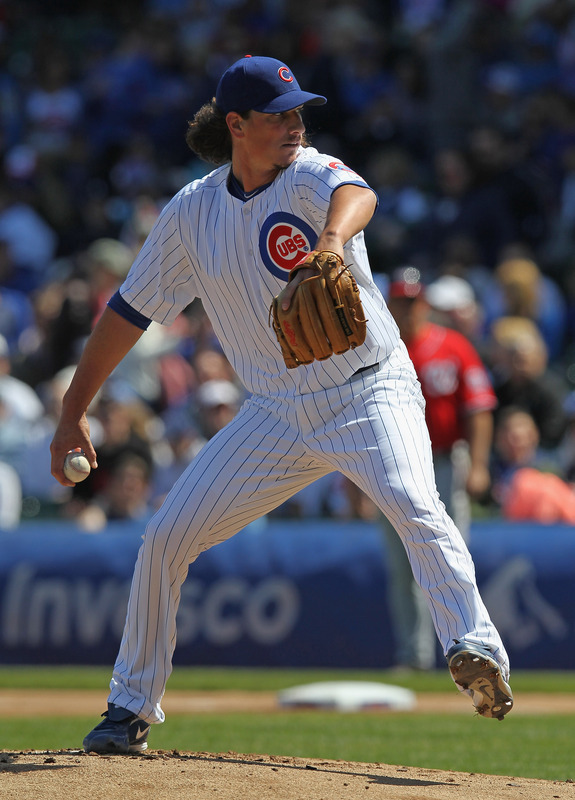 Sunday was a big day for Jeff Samardzija (’06 – pictured left), who tossed eight and two-third innings to help the Cubs to a 4-3 win over Washington, striking out eight. 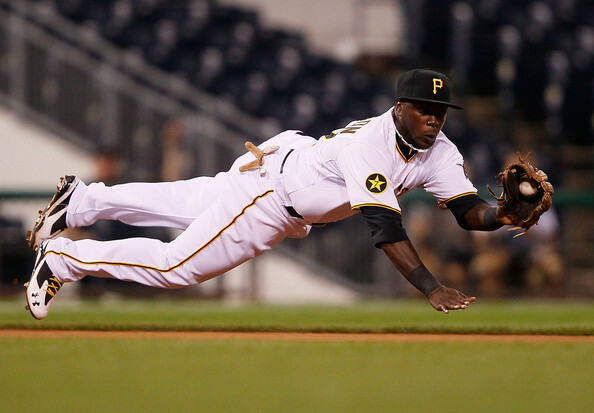 Josh Harrison (’08 – pictured below) entered the game as a pinch-runner in the ninth, scoring the game-winning run on an Andrew McCutchen RBI single for the Pirates in a Sunday walk-off win over the Phillies. Brett Jackson (’09) was also in the act at AAA, tripling in the winning run in the 10th of an Iowa win over Round Rock. Today also was a downer for many former Hawks, as Baseball America released the latest transaction report – which included nine players who wore Boise uniforms – Hector Mayora (’11), Juan Serrano (’10), Cam Greathouse (’10/’11), Marquez Smith (’07), and Matt Camp (’06) by the Cubs, Felix Pie (’02) by the Indians, Andy Sisco (’02) and Ryan Acosta (’07) by the Dodgers, and Josh Lansford (’06/’09) by the Athletics. 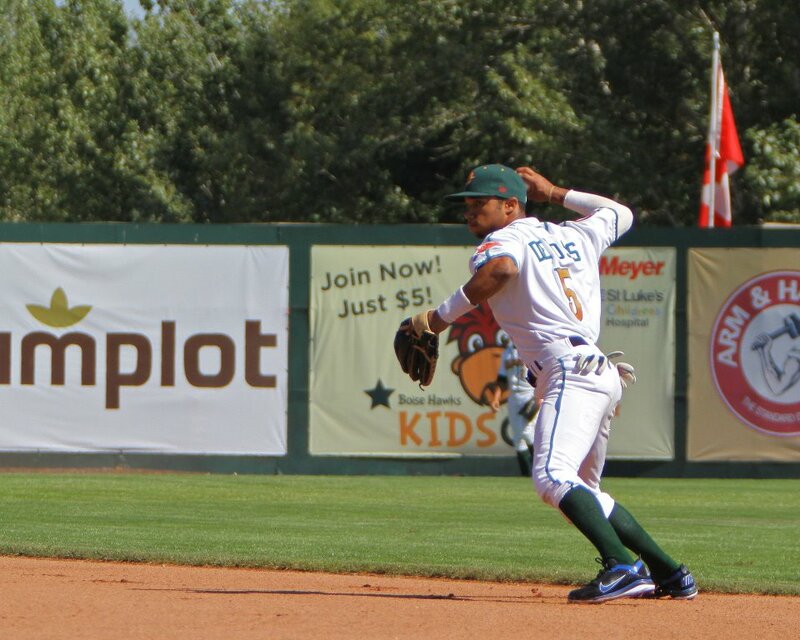 On the flip side, 21 former Boise Hawks are currently on AA rosters – 17 with the Tennessee Smokies, the Cubs’ Southern League affiliate, inclduing Jeff Antigua (’09), Dallas Beeler (’10), Alberto Cabrera (’07), Marcus Hatley (’08/’10), Trey McNutt (’09), Brooks Raley (’10), Dae-Eun Rhee (’10), Ryan Searle (’09), Joe Zeller (’10/11), Michael Brenly (’08), Justin Bour (’10), Matt Cerda (’09), Jonathan Mota (’05), Rebel Ridling (’08), Elliot Soto (’09), Logan Watkins (’09), and Jae-Hoon Ha (’09). Others at AA include Jesus Valdez (’05) in Harrisburg, Aaron Kurcz (’10) in Portland, Erik Hamren (’08) in San Antonio, and Hak-Ju Lee (’09) in Montgomery. Opening Day has come and gone, including the Major League Debut of former Boise Hawk, Marwin Gonzalez, who went 0-for-3 as the starting shortstop for the Houston Astros. Gonzalez, who had 43 RBI for the Hawks in 2008, became the 91st former Boise Hawk to play in the Big Leagues. 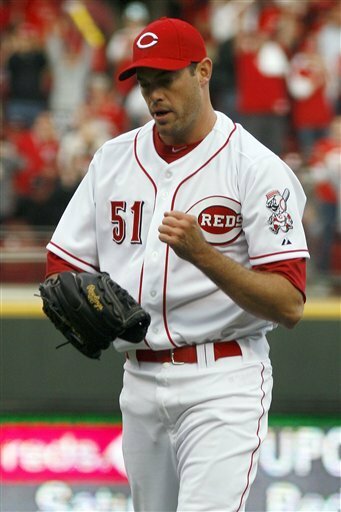 Also, Sean Marshall (pictured right) tossed a scoreless inning in the Reds victory over Miami – as the lefty, who pitched for Boise in 2003, is serving as Cincinnati’s closer. The minor league season started on Thursday – with 22 former Boise Hawks starting the season at the AAA level, including Josh Vitters (’08) and Blake Lalli (’07), making their debuts for the Iowa Cubs. Other AAA players in Iowa include Randy Wells (’02), Welington Castillo (’06), Alfredo Amezaga (’99), Tony Campana (’08), Jay Jackson (’08), Ty Wright (’07), Casey Coleman (’08), Brett Jackson (’09), Blake Parker (’07), and Chris Rusin (’09). Other players at AAA include Mark Reed (’05) in Reno, Donnie Veal (’05) in Charlotte, Russ Canzler (’06) in Columbus, Brandon Guyer (’07) in Durham, Lou Montanez (’04) in Lehigh Valley, Tony Thomas (’07) in Pawtucket, Mitch Atkins (’05) in Syracuse, Darin Downs (’04/’05/’06) in Toldeo, and Dontrelle Willis (’01) in Norfolk. 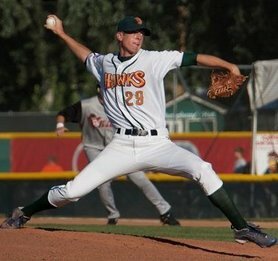 A total of 20 (or 21) former Boise Hawks will be on MLB Opening Day rosters as the 2012 season opened tonight (not including the Seattle-Oakland series in Japan). Included in the group are a pair of former teammates from the 2008 season who are poised to become the 91st and 92nd former Hawks to play in the Big Leagues. Ryan Flaherty (pictured right) and Marwin Gonzalez (pictured below left) were the double play tandem on the ’08 team – as Gonzalez led the club in RBI, while Flaherty, a supplemental first-round pick, had seven home runs. Both were Rule 5 draft picks this season – Flaherty landing with the Baltimore Orioles, with Gonzalez with the Houston Astros. Four former Hawks will start the season on the disabled list – as Chris Carpenter, John Lackey, and Rich Hill are on the DL with the Boston Red Sox (Carpenter about to have surgery for an elbow issue – something he had issues with in college, while Lackey and Hill are coming back from Tommy John surgery and is expected back around the all-star break), and Al Alburquerque is on the DL with the Detroit Tigers (coming back from Tommy John surgery). The 21st Hawk on the list is Tony Campana – who is officially on the Iowa Cubs roster, but is in Chicago, waiting to see if first-baseman (and former Everett Aquasox player) Bryan LaHair goes on the disabled list, and will be activated if the slugger is sent to the DL. The Hawks in the Big Leagues – Ryan Flaherty (’08) – BAL; John Lackey (’99), Rich Hill (’02/’03), Chris Carpenter (’08) – BOS; Clay Rapada (’02/’03) – NYY; Joel Peralta (’00) – TB; Al Alburquerque (’07) – DET; Jerry Blevins (’04/’06), Josh Donaldson (’07) – OAK; Andrew Cashner (’08) – SD; Tyler Colvin (’06) – COL; Ronny Cedeno (’02) – NYM; Ricky Nolasco (’02) – MIA; Josh Harrison (’08) – PIT; Sean Marshall (’03) – CIN; Francisco Rodriguez (’99) – MIL; Marwin Gonzalez (’08) – HOU; Jeff Samardzija (’06), Steve Clevenger (’06/’07), Geovany Soto (’02), Tony Campana (’08) – CHC. Look for an in-depth look at the former Hawks still in the minor league system in the coming days, once the minor league rosters are officially posted and set.